Many people ask me about the prayer I often end my interviews with. It is actually a prayer made by my wonderful Raja-Yoga teacher Nalanie Harilela Chellaram, and this beautiful illustration has been created by my Danish friend Thomas Koitzsch. We love and respect your works, Ole. You are a warrior for all people. We respect that. You face danger, we stand with you, as you understand our orientation. No greater, or dignified commendation than that of Apache Nation, could be more eloquently enunciated, Ole. This old fellow from Edinburgh, endorses those lines of august recognition..! Fantastiska ord från Apache Nation till en fantastiskt modig människa! When i hear you, your tone and your words tell me you are really doing THE job that needs to be done. Not only investiganting and spreading the information, but remaining peaceful in the way, bravoooooo!!!!! From my first interview with Ole Dammegard 16 August 2013 on ‘The Real Deal’, it was apparent to me that he was a world-class expert on assassins and assassinations, which led to a second interview on 28 August 2013. I look forward to future correspondence, radio interviews and additional publications from this fine scholar. He deserves recognition. Lots of it! Real journalists don’t get any better than Ole. Thank you Ole!! !….great work…simple and condensed… but… POWERFUL! Hope a lot of people will see it…and understand the meaning of it ( I sent it to a few I know they will know).. I’ve been in USA for 12 years..(well.. California). I have the feeling that people around here are always waiting for somebody else to lead them……or…there is always somebody else who is responsible for their “luck” (good or bad). They don’t feel responsible for their life……they always find something or somebody to blame…such an immature country!… OK…no more complaint!!! Thanks for your Newsletter, love it!!! OUTSTANDING article in Veterans Today! My entire life has been stumped by JFK’s demise. What more can I say. A very well done article in Veterans Today, timely because of the approaching 50th year anniversary of the JFK Assassination, shows deep study and knowledge most never get to such a level, especially the OP40 part (by the way they still have OP40 type groups under different names: it was pegasus for a while, now is JSOC and Solic and Division 5). The USG is so frightened of the American public catching on that they did it and covered it up they are still spending millions each year covering it up and generating phony ghost written books and misinformation. And they have seized/locked-down Dealey Plaza for their own special cover up and to prevent researchers from all over the world gathering in Dealey Plaza. They know that there are some major threads if pulled like JFK assassination, Murrah, and 911 will unravel their secret cabal which is still in power because they are the key litmus tests for being a sheeple or a fully informed, awake American. The real reason for the name Op40 was that it was run out of Room 40 at Langely, which was copied after Stevenson’s (Intrepid) unit in England run out of their Room40. Another fact few truly realize is that Op40 was actually a special action team of the pentagon boys and those of Kissinger, Bush and Nixon that ran them. The joint Chiefs of staff were in all the way and fully involved in the JFK assassination and cover-up (esp. Lemniter and Lansdale). The FBI’s job was to cover it up and murder witnesses, along with witness murders by the Dixie Mob and some of the Cuban anti-Castro-ites. The CIA did its share of cover-up murders, too. BRAVO! wonderful job. i saw you on alfred’s show tonight and your words, especially near the end, touched me so deeply. thank you for what you do and ride on! peace, blessings and protection on you and yours, sweet man. I just finished listening to your interview with Alfred L. Webre and you brought me to tears. However, they were tears of joy because at the end of the interview you reinforced my beliefs for humanity. Thank you so much for your time and effort to expose what has and continues to go on behind the curtain. You are a true inspiration and it is my humble opinion that you are awesome! Ole – Thank you for a great interview and experience. I salute the Divine in you. I loved your interaction with Alfred. I’m homebound with stage 4 cancer, so thank you for being an inspiring light!! I have a dream and you are working for it. I watched a interview you gave last night. I was very impressed with the information you gave. I enjoyed your testimony at the end of your interview. I felt the your concerns which are mine to. I want to know more and I have been aware of this take over for most of my life. My Dad has kept me informed since I was born. I really would like to get to know more and want to thank you for opening my eyes a little more. I was wondering you didn’t talk to much on 911 and was also wondering if you heard of Dr. Judy Wood. She has really open my eyes to 911. Thought you might find this and eye opener to. I’m still new to your web-site and will look it over in detail. I felt your love for freedom. I just wanted to thank you for it.I don’t know what your beliefs are in a higher power but I know He lives and has blessed me by putting you in my path. God bless you for your efforts I will always keep you in my prayer and will do everything in my power to help the cause for freedom and truth.I will give you my report on your book. I also like your chart on the Bilderberg Group, unbelievable almost over whelming but I like your positive attitude that we can stop this madness. I also was in a Rock Band in my early days. I played lead guitar. well I use to. Thanks, You’re Awesome. 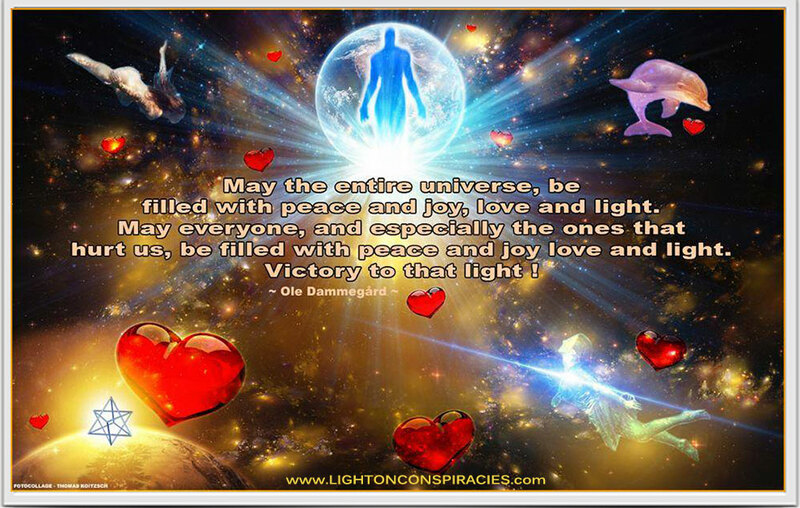 MANY THANKS FOR ALL YOU SHARE ~ BRIGHTEST * BLESSINGS. Your interview with Alfred was great. Thanks for all your efforts to get the truth out there. I am trying to also, in my own small way by posting things I find, & help spread the Love vibration! I saw your video with Alfred Webre and I must say you are very interesting as well as your background. You really have a good spirit in you and I feel you are very special. Thanks for your great work. I had never heard of you, but I am awake out here in southern California and understand what you are communicating. Please take care and we shall see what comes at us. Hopefully the world will come to and together, we will change the world ourselves for the good of all people on earth. Love to you and yours. Reading ‘Re-Mind Me’ was an eye-opener – I can definitely say it’s one of the most remarkable books I’ve ever read. I had browsed a lot through philosophy, meditation, alternative this, alternative that, but they somehow always seemed to look only at a fraction of human life. Based on the author’s acute observation of our current obsession with the pursuit of illusory goals, the book takes the reader on a journey exploring many of the motives and misconceptions which now inform our everyday lives. It was really refreshing to find a profound look at universal truths. The author has the stunning ability to go to the core of every issue. This is a must-read book for all those who believe in the ideal of making the world a beautiful and harmonious place to live in. I received ‘Re-Mind Me’ on my birthday and I just tonight finally had the chance to run myself a hot bath and soak and read! I loved it! The author is obviously such a special soul and his little book is thought provoking and inspired. Just finished reading the fabulous book ‘Re-Mind Me’ – in fact I read it twice as I was so intrigued at how cleverly it was written. It may be little but it sure packs a big punch. There aren’t really any books out there on this subject that are written in such a way to be able to hold my children’s attention, but this is one that will and I can’t wait to get their reactions to it also. ‘Re-Mind Me’ is a very interesting look at our journey through life. ‘Re-Mind Me’ – an awesome job! What a fantastic read this is!!!!!!!!!! Jackpot!! Amazing and sooo funny tooo. I truly hope this will be a huge success!!!!! I don’t usually read stuff like this, I am a sceptic; but on this occasion did and so glad I did. Yesterday I took time to read ‘Re-Mind Me’ – especially the bit about the player leaving the comfort zone and challenges faced from all directions forcing him back to the comfort zone and thought ‘God that’s happening to me!!!! So this morning as I set up my clinic with the usual butterflies and anxiety I called on the angels and told myself this to shall pass… over and over again (Mum used to do that too and I thought she was mad!!). Today has been better for sure…………….. I will try it again on Monday and again on Tuesday………………… and see! When I read the book the first time, I laughed laughed and laughed about the original way of describing our human ‘mission’ here. It is a great help to become the observer of yourself, and certainly not take this experience too serious. I only wanted to sit with the it for the rest of the day. I am so inspired and have started seeing with new eyes, tasted new flavours, and smelled new fragrances of life from reading this little/big book. I carry it in my bag. And guess what my friends and family are getting as a present! Peace and love filled with joy, laughter and light. Ole Dammegard has put this dynamic manual together to illustrate how life can be lived to its fullest. There is no judgment, no plan, just a road map to guide us to exist in this world with the highest spiritual understanding. His aim is to provide this wonderful knowledge to serve others who find the traditional approach too difficult to understand. Ole has gone through the spectrum of life’s obstacles and sufferings and has emerged not only unscarred or bitter, but full of love and gratitude. May this booklet serve many on their path to Self–realization. May many be inspired to live a spiritual life in this earthly body and fill the world with peace and joy. When I forget who I truly am, believing that I am separated and sometimes even abandoned, all alone, on my own, Re-Mind Me is a good companion. A friend softly whispering in my ear, letting me know that this is part of the game. The game I chose to play when I entered this world. Reminding me that I am the creator of my life, the one I have been waiting for – the Joy of rememberance who I am. I wish you every success with the Manual. All seekers of the truth ought to read and absorb as much of ‘Re-Mind Me’ as they are capable of, since the simple explanations are of immense value and may be applied to the everyday situations that we all encounter in our lives. This book may indeed help to change the world by offering you a way to change your view of the world. So let us all re-mind ourselves and watch the world re-arrange itself. And please never forget that Love is more powerful than fear – always. Busy schedules, every day full of activities, running around like ‘headless chickens’, running after things that don´t really exist or don´t really matter… I think we can all relate to that in some way… Now is the time to step back and Re-Mind ourselves with this fantastic little read, what is REALLY important in our lives; what really IS; who we are and why here. Brilliant, well done! I looked over the delightful, meaningful and amusing operating manual ‘Re-Mind Me’. Very nice. You asked if you could help… you already are by sharing in your creative way the message of awakening. Thank you! I read Re-Mind Me and enjoyed it so so much. It is clever, original and very thought-provoking and helpful. Congratulations. Divinely inspired, my spiritual teacher said. I can only agree one hundred percent. I have seen Ole write like this before, totally in-spirit (inspired) and letting whatever comes to him flow out on paper. This time this little book came and WOW, what a delicious gem. It makes you think, it makes you laugh, it makes you question life and the way we live from a totally new direction. A game manual for life, what a cool idea! Very entertaining and easy to read. Well done, my love. Suosittelen, upea kirjanen – oikea ‘Elämän pelin’ manuaali! I can warmly recommend this to anyone! Had another read through of ‘Re-Mind Me’ which I love. I’m already playing the game and as a ghost writer I find I have a sneaky advantage. During PLAY I already inhabit several other Personal Characters – but they chose me. Can’t wait for GAME OVER when I get to choose my own! I thought it was fun to see elements of the Yoga Sutras of Patanjali brought together in such a modern and light hearted manner, where its universal message is simplified in the form of a manual for the computer game of “Life”. I think this original way of presenting it is a great way to reach those who haven’t had a chance to read the traditional books, and re-minding everyone what its really all about.. Good luck with spreading the word!! We live in a world where children very quickly learn the basics of computers and adapt readily to the language associated with their functioning. Sadly we seem to have forgotten many of the concepts and ideas that can lead to us living fulfilled lives. ‘Re-Mind Me’ manages to draw the reader stage by stage into this ‘mysterious’ world using the well understood language of the millions who are so computer literate. Well worth a read for those who feel that life may be just a little more than a collection of situations ‘crashing’ with each other! How do you succeed in the game of life? Who are the players? What are the obstacles? By becoming aware of oneself and following the guidelines of Ole Dammegård’s manual to ‘the game,’ we can begin to understand our thoughts about our actions and ultimately win the game of life. What an amazing book. It truly reflects how I feel about life in general. ‘Re-Mind Me’ is a great little book! It is written in way that it is fun to read and at the same time helps you to open your eyes and gives you practical tips on how to approach and deal with your life. The comparison of our lives with a computergame makes the messages very easy to understand for young people. A great little book to be put on your wishlist AND give list. I’m gonna send ‘Re-Mind Me’ to a friend that is going through a tough crisis. Right away. ‘Re-Mind Me’ is a fantastic read, very wise and entertaining. Thank you so very much for this book which truly touches on relationships between human beings. In my opinion, it could be used in the work to improve understanding between people of different religions and races. I am convinced that all testimonies of this type are important and I hope that the book will reach a large number of people. Hasse Alfredsson, famous actor and author. I started reading this book with certain misgivings after having read the drivel ‘Not Without My Daughter’. However, my fears were not realized. To me ‘Shadow of Tears’ is the best book of the year. Ole Dammegard has truly succeeded in describing his experiences that evoke recognition and which provide a good picture of the complicated life here. His book has now been added to the embassy library and will be accessible to the staff of the embassy and the Swedes who move here and want to read about Iran. Thank you very very much for your book Ole, which was both interesting and fascinating. This book felt very personal and the Iranian and, perhaps even more, the Pakistanian society and living conditions there were truly touching. Thanks once more, I really appreciated it. Honest and genuine – ”Shadow of Tears” is a book that stays with you long after you have finished reading it. It touches you and stretches you. The experiences of Ole in Iran and Pakistan feel extremely genuine and honest. Many other travelogues I have read have seemed rather superficial in spite of their entertaining value. There is nothing superficial in ”Shadow of Tears”. Ole tells about his experiences and shares his knowledge showing great respect and love for the people he writes about. The political and historical analyses that appear here and there in the book contribute to its depth and aids the understanding of those whose knowledge about Iran is lacking. “Shadow of Tears” is one of the absolutely best books I have read. I could not tear myself away from your fantastic book which revived many old memories from my home country. The reflections at the end of the book are very interesting. Why are we so afraid of that which is different? THIS BOOK IS VERY IMPORTANT IN OUR TIME considering immigrants and refugees and improved understanding between them and us! Thank you Ole for a wonderfully warm, true and vivid book! I want to thank Ole for his book which touched me deeply. I prepared myself, rested sometimes and continued, continued and continued. I did not want to stop, I felt captured and touched. I wanted – and want – to know more. He provided me with answers to many questions. I really liked reading his story. Maybe because it has so many shades and did not condemn people but left me to make up my own mind. At long last I understand better, at long last the people far away are people like us – fair and dark, evil and good. Now I can give words to thoughts and feel grief for an area on the earth and within myself that has been blank and empty. My insecurity and fear towards these people disappear…I do not think I have ever read a book about real conditions that has upset me this much. Shadow of Tears fills a void, truly. A BOOK TO LOVE, A GRIEF TO BE SHARED. In his foreword, the author stresses that what occurs in his story is not romanticized but completely true and nothing but his personal experiences. Apart from the possibility of naming it a political novel, it might even be called a “development” novel: Young man rides his bike out into the world in search of something, himself perhaps. He does not find happiness but, by sharing the pain of other people, he comes into contact with the innermost, and changed, core of himself. He asks questions about the meaning of life, about suffering and misery. Ole enters the problem-filled world of his friends with such heart-felt concentration that he sometimes feels physically ill.
His narrative is moving. At about ten o´clock at night, I read the foreword. After that I read the entire book in one go and felt that I totally shared his grief and powerlessness when faced with the difference in the living conditions of human beings. Mostly, his words are poetic. Ole Dammegard has himself designed the cover of his book and his artistic vein is obvious also in his writing. And yet his language is restrained. Ole Dammegaard can use emotional words without their sounding high-flown. Without sounding banal, he can claim that the melancholy of a song envelops his heart. A postscriptum named Reflections is a burning plea for the equal rights of human beings. Shadow of Tears has touched me very very deeply. In my very core. THANKS. And to say that I think the book is good is just as banal and insignificant as to thank Ole for daring! ‘Shadow of Tears’ has let me know some reality absolutely unknown to me. Things like this should be known all around the world. All my thankfulness to the author and my emotional solidarity with the people reflected in this novel.